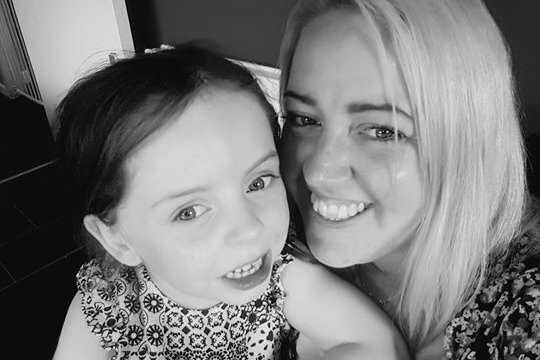 As many of you who know us are aware, our eldest Daughter Hannah was born with an ultra rare genetic condition called Inv Dup Del 8p which only has 65 known cases worldwide. This means she has a deletion and a duplication of genetic material on her 8th Chromosome, or as we like to call it Wonky Genes. It’s a unique genetic arrangement which causes extreme cuteness, the cutest dimples and fabulous eyebrows. It also means she lives with several disabilities both cognitive and physical. 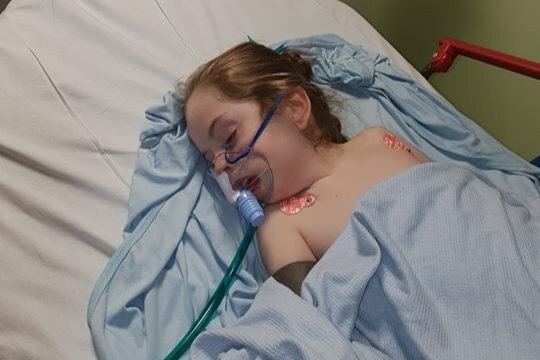 She has a learning disability on the more severe end of the spectrum and she also has Epilepsy which in Hannah manifests as prolonged seizures, usually lasting around an hour and needing pretty heavy duty drugs to stop them. It usually ends in a hospital stay and a very poorly Hannah. Apart from our close and local family and friends we get unending support from our 8p Family, the families of the other 65 people worldwide with the same diagnosis. We share everything allowing us to all be experts in such a rare condition. One of those parents the formidable Bina Shah created the Project 8p foundation https://www.project8p.org/ and has arranged a conference in New York, USA in June 2019. 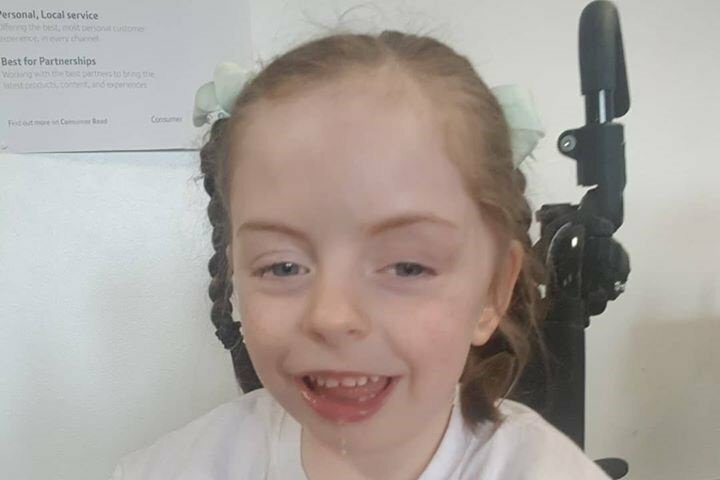 The Foundation has recruited geneticists to launch a study in to Hannah’s genetic condition to help those affected and get some true information about how it affects others and how the subsequent disabilities and health complications associated with this genetic condition can be best managed. At this conference, will be some of the world leaders in genetics, cardiology, epilepsy and general medicine as well as the centrepieces of the entire reason it exists. As many of the other Inv Dup Del 8p families as possible. In short, this is a trip that we cannot financially afford, but for Hannah to meet others just like her and to hear from medical professionals who can help her live her best life, it’s not something we feel we can afford to miss either. Other families plan also on travelling from Australia, New Zealand, the Phillipines, Mainland Europe, South America and also from across the USA. It will be truly magical to have so many ultra rare kids in the same place with the same diagnosis. 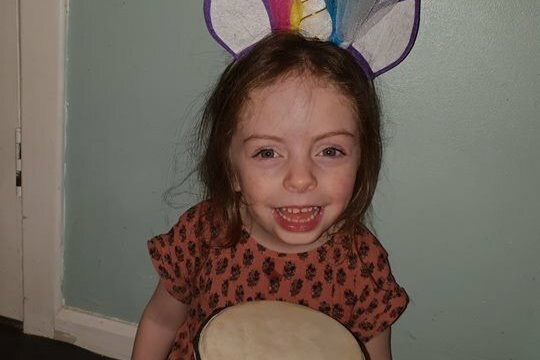 I know it’s a big ask but we are hoping that if those that love us and Hannah can even spare a few pennies then it will help us actually meet and hug some of the people we have built huge friendships and support networks online with, it also allows us to help shape the future of how families with Inv Dup Del 8p will feel when they get such a scary and unknown diagnosis. I must stress that although it seems a popular tourist destination it will be far from a holiday. The conference will be held at Columbia University and we plan on staying quite close by. I Rebecca (mum) and John (dad) will be going with Hannah. We both need to go as in the event of a seizure we need back up. Nana will mind Molly and Daisy at home in Glasgow. The Conference is on Fri 28th June-Sun 30th June – we will fly out Thursday 27th and return Monday 1st July. We plan on keeping costs as low as possible and our fundraising amount covers flights, accommodation (bed and breakfast) and travel insurance ( a must with Hannah’s medical conditions) as well as the conference entry fee. We really, really hope you can all support us to allow Hannah to meet her 8p buddies and realise she is not alone in the world and that there are others just like her. And we promise to post loads of pictures of all the cuties together and keep you all up to date with the progress of the study. We are blown away by the generosity shown by everyone . It really is heartwarming to know so many support us to get to such a potentially life changing and pivotal conference. We received £500 from our local Tesco which we changed in to Dollars so we have a little cash for accessible taxis and food. Although Hannah is for the most part non verbal she decided she had something very important to say to everyone who has donated and is helping her get to New York.